Description of the accommodation: Nice apartment fully equipped with 2 bedrooms, living room, kitchen and bathroom. Very well located, just 3 minutes walk from the free hot springs of Arnedillo and close to shops and restaurants. Arnedillo is a very peculiar town that is located in the Cidacos Valley. Its thermal waters with medicinal mineral character, are very useful in the treatment of diseases such as rheumatism, arthritis, osteoarthritis, chronic bronchitis, stress and relaxation in general. 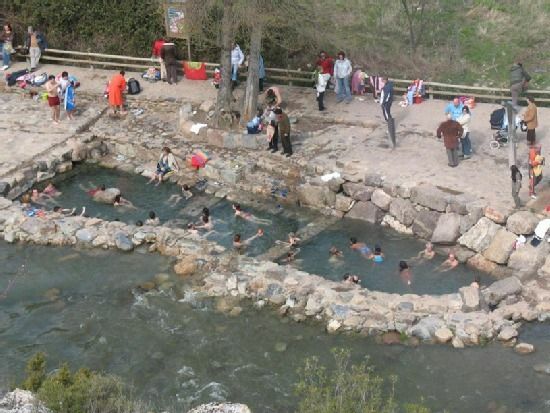 Highlight the springs of the river Cidacos, known as "Pozas gratuito" and the Balneario de Arnedillo. On the other hand, is within the route of the Dinosarios with multiple deposits and dinosaurs in real scale. Finally, it is located about 7 km from Arnedo (Ciudad del Zapato, with lots of shops and Outlets).